Buying ad network, affiliate marketing, or lead-generation software saves the average digital marketing firm almost $100,000 in annual salary, makes developers 57% more effective, and saves an average of 48 hours of work every single week. Building on top of that platform with your own “secret sauce” customizations results in more than 10% extra business — and that’s on the low end. 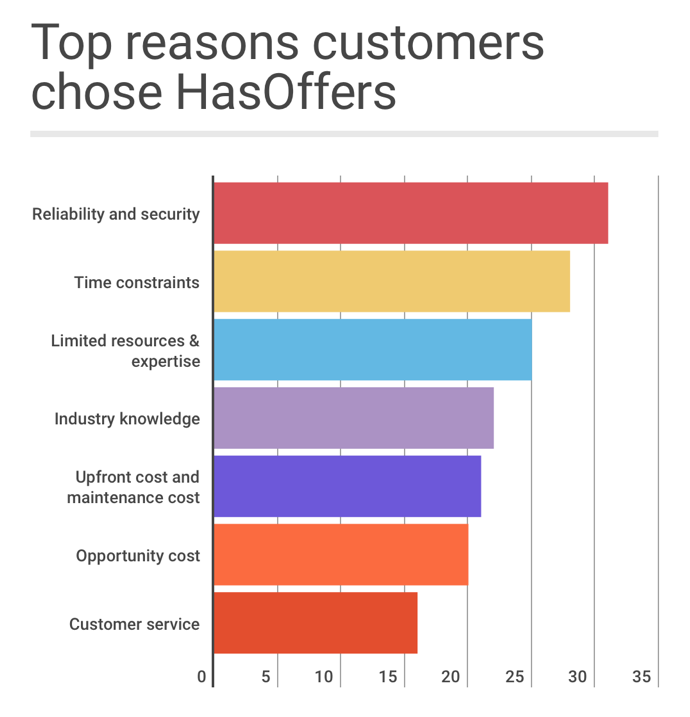 We recently surveyed HasOffers customers to understand not just why they’re using the platform, but whether it saves them money and increases their business velocity. More than 1,000 ad networks use HasOffers to manage over 45 billion events every month, and that includes customers like AppLift, Fyber, Tapjoy, AdColony, Baidu, Inmobi, NativeX, and Crobo. 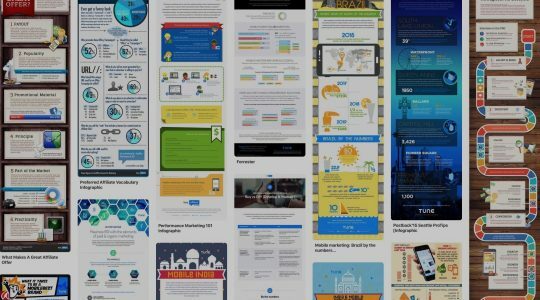 66 of those ad networks, agencies, and marketers with over 1.3 billion annual clicks responded, and here’s what we’ve learned. What does HasOffers actually … do? HasOffers is an ad network in a box. It’s an influencer marketing platform. It’s a mobile advertising platform. It’s a lead generation system. 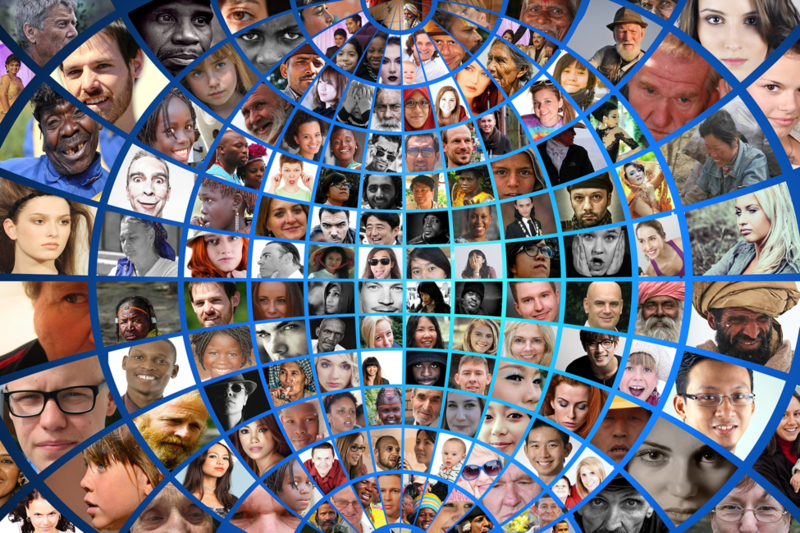 It’s a performance marketing tool … all of these and each of these, depending on how you use it. Clearly, many HasOffers customers use the platform for multiple purposes, with the average customer in this set running 1.6 different business types. The picture becomes a little more clear, perhaps, when you see what actual product functionalities these companies are using. 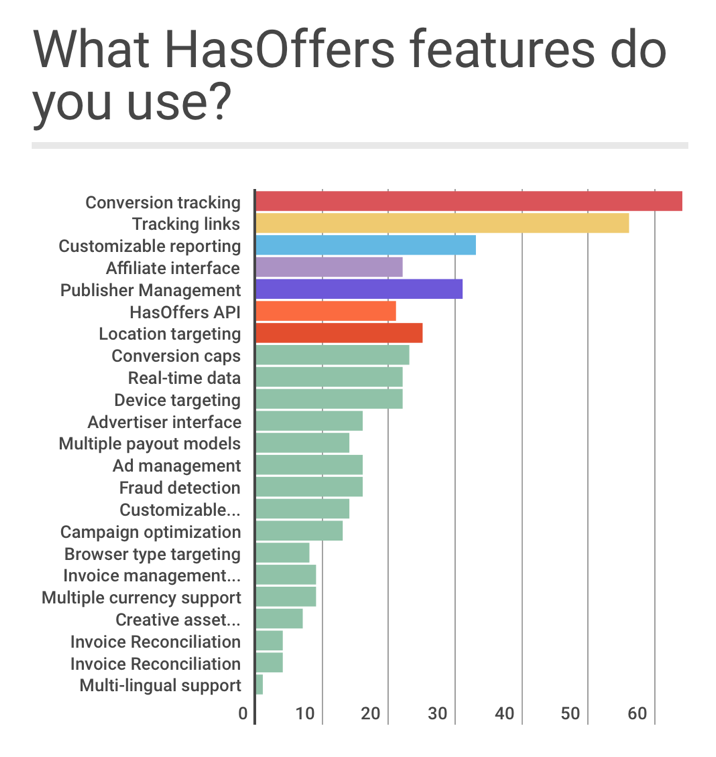 Almost every single HasOffers client uses the product’s conversion tracking functionality, and a large majority use its tracking links. That makes a lot of sense, of course, for a performance marketing platform. After those two features, however, the platform shows its diversification. Half use customizable reporting, which naturally is a must-have for agencies or ad networks, and similar number are using its publisher management capabilities. A third are using HasOffers’ affiliate interface, and about 40% are using HasOffers’ location targeting capabilities. Interestingly, a third of customers are using the powerful HasOffers API and the platform’s real-time data functionality. A similar number opt to use device-level targeting and global campaign conversion caps. 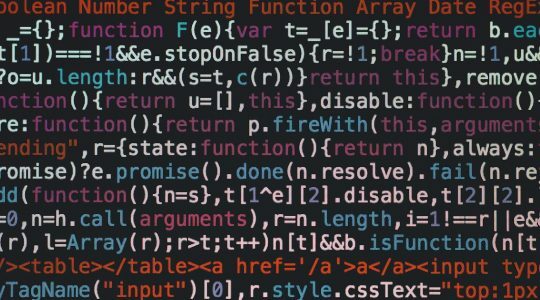 Somewhat surprisingly, only a quarter of businesses are using fraud detection tools, which indicates that there’s some room to grow here in terms of adoption. Why do performance marketers choose HasOffers? Plenty of adtech companies build their own technology. Why do HasOffers clients choose to build their businesses on this platform? There’s a number of different reasons, including significant cost savings and speed-to-market advantages, which we’ll look at later. But two of the key reasons are the reliability and security of a platform that already does 25 billion clicks each month safely, scalably, and without data loss or business interruption. Clearly, time is a major factor … including the opportunity cost of not having a technology platform to run your business on while you are building it yourself. 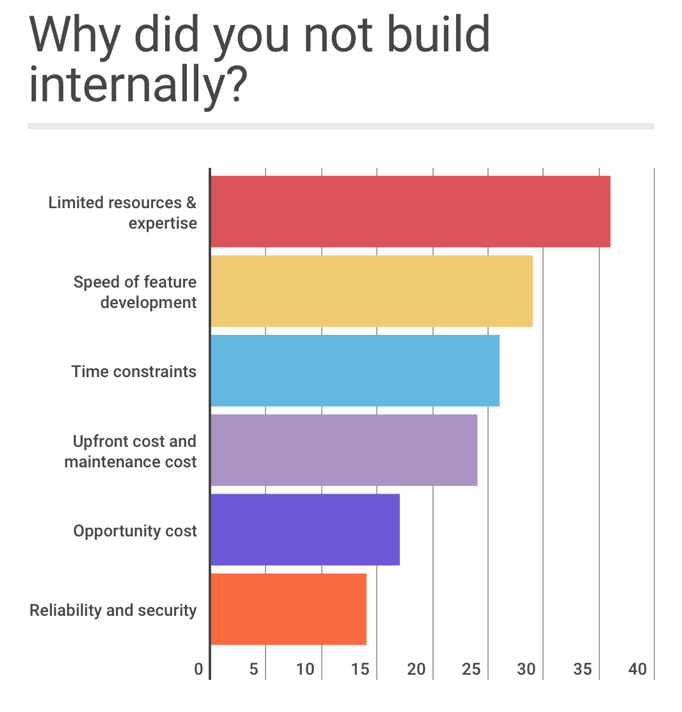 Customers report similar things when we asked them what their biggest obstacles are to building an adtech platform themselves, internally. Starting a performance marketing company itself is challenging enough, it seems, without also having to build your technology platform by yourself from scratch. 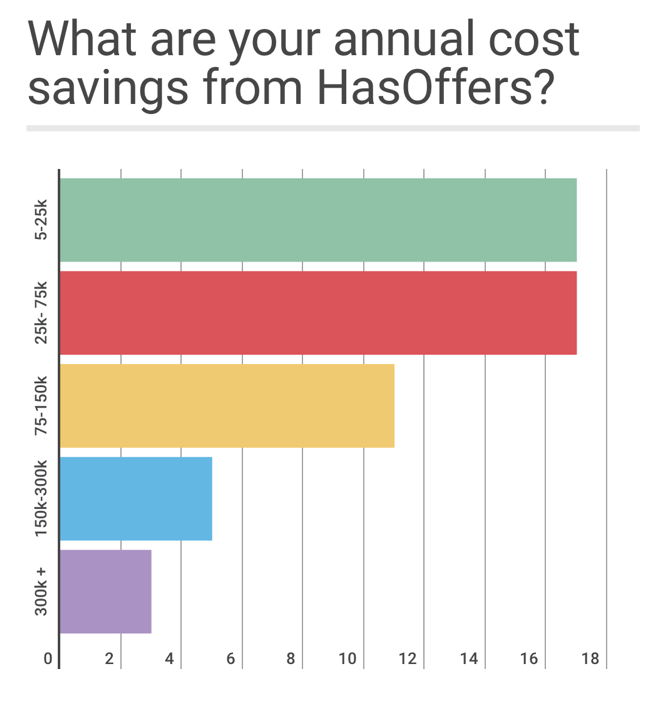 What savings do performance marketers achieve via HasOffers? Many HasOffers clients have originally built their own ad network software or influencer marketing tools. We wanted to find out if they save any money — or time — when they move their business to the HasOffers platform. Most customers are saving relatively small amounts, up to $75,000/year. But as companies grow and use more functionality, the savings also grow … up to over $300,000/year. On average, HasOffers clients save over $88,000 every year. Those savings come in two forms. One is developers you do not have to employ, because your core features and many supplemental functionalities are ready to go, out of the box. 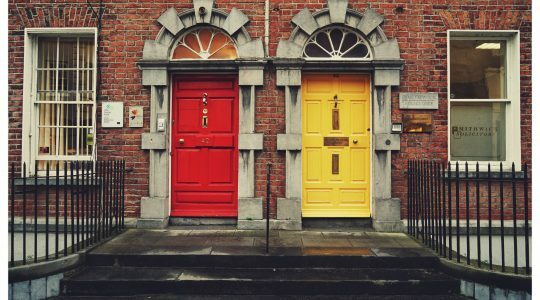 The second, and perhaps more important, is that the developers you employ can now focus their energy and time on your unique “secret sauce” functionality which differentiates you from the competition. One way we can see that is by asking performance marketers who built their own solution before eventually turning to HasOffers what changed after the switch. The amount of time developers spend on new functionality before HasOffers versus after HasOffers. Before implementing HasOffers, developers for performance marketing firms spend an average of 31% of their time on new functionality. The rest, of course, is learning, maintenance, bug-fixing, system updates, and all the other necessary but not super-productive parts of a software developer’s job. 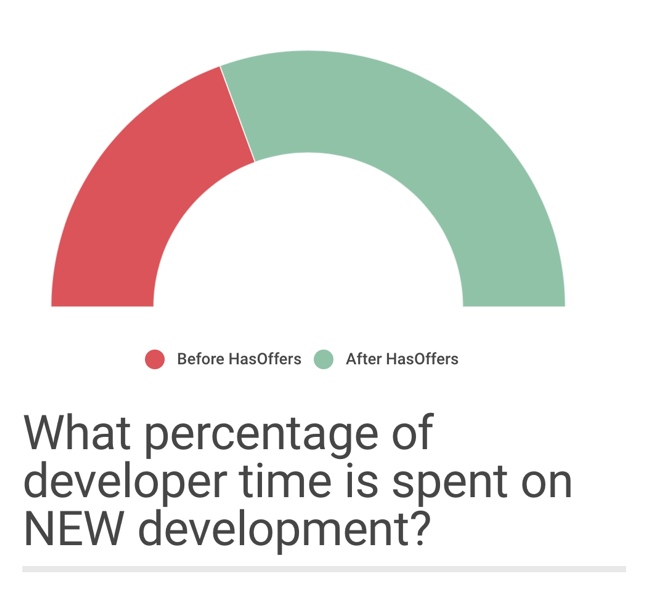 After buying HasOffers, developers spend 49% of their time on new functionality. That’s 57% more time spent building new product features that can meet current customers’ needs, plus attract new customers. It’s a 1.6X multiple, and that’s very significant. Essentially, developers become almost 60% more efficient. 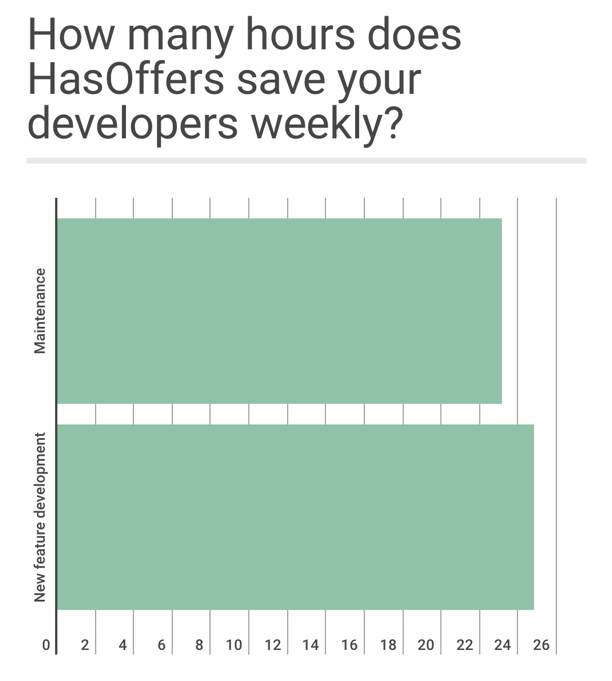 In weekly terms, HasOffers clients save an average of 23 developer hours on system maintenance, and an additional average of 25 developer hours on building new features and functionality. What are the most beneficial aspects of HasOffers? 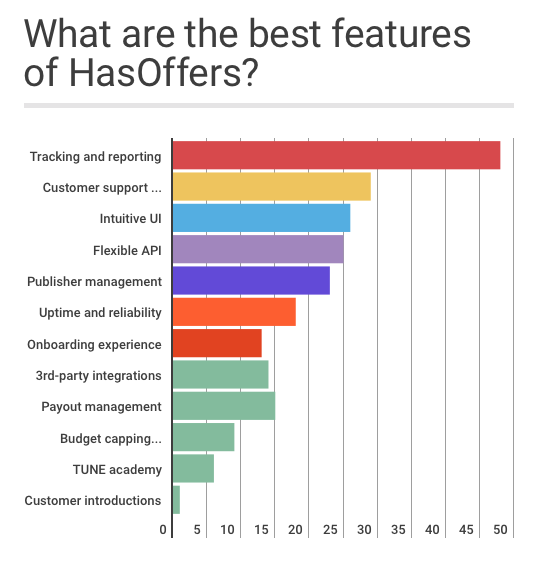 We also asked customers what part of the HasOffers platform are the ones they appreciate the most. Unsurprisingly, tracking and reporting is the highest, followed by customer support, the user interface, the available API, and publisher management. 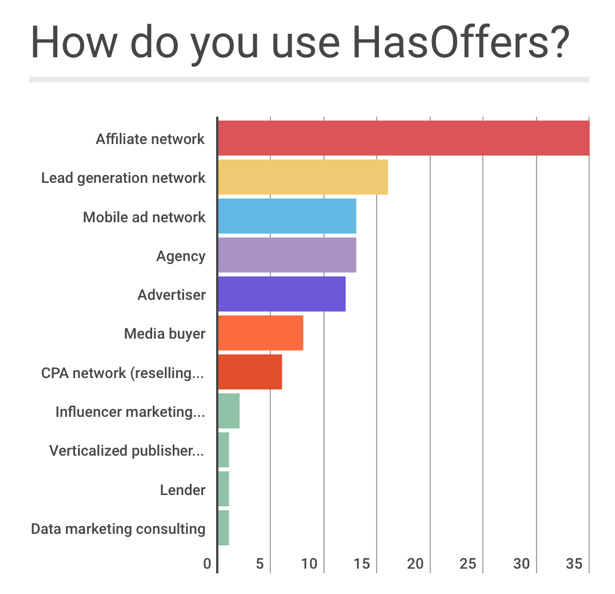 We learned a lot from this survey of some of HasOffers’ clients. We’d like to continue learning … so if you have something to say, and you’re a current HasOffers client, please add your voice to the survey. As you do, we’ll update these numbers. Also: don’t forget to download your free e-book.